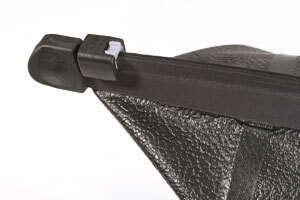 The Quick Seal Closure allows you to quickly open and close your ORTLIEB bag by simply moving a slider along two flexible plastic profiles. The closure reliably protects the inside of the bag against dust and spray water from all directions. Ideal for daily use! The inside of the bag can be accessed quick and easy for it must be practical for shopping. 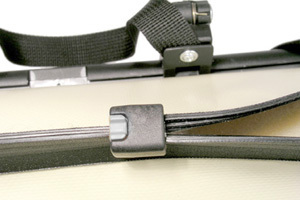 The slider separates or closes the both plastic profiles reliably. The Quick Seal closure may not work properly at temperatures of less than -5°C/23°F. Occasional lubrication with silicon grease facilitates opening and closing of the sealing closure. Prior to lubricating, the internal faces of the sealing closure should be cleaned with a damp cloth.